When you have an e-commerce website managing your retail sales, it is a good idea to have that website connected with your other retail channels like eBay, Amazon, Rakuten, Sears and all other platforms where you are selling your products. When your e-commerce store is connected to your marketplace accounts, product listing management, inventory updates, order processing can become much easier and you could manage everything from your website dashboard with single log-in. Thus, saving tons of time which you might need to spend otherwise. Today, we are going to introduce few key e-commerce platforms which are very popular and you might have your website built on these platforms and available plug-ins and extensions for integration with marketplaces like eBay and Amazon along with few hosted solutions. Before we dig deeper into each individual platform, I want to introduce some of the multi-channel solutions with pretty old existence and accommodate huge market share when it comes to multi-channel e-commerce solutions. These solutions work independently regardless of your website platforms and also help you to list products directly on multiple channels even without having a website. Here’s the list of these solutions. I have just mentioned the names and you can do research on Google or on their official website about the actual featured offered by each. These platforms are pretty old and have plenty of features that extension/plug-in may not offer. But, depending on your actual needs, whether specific features offered by these platforms are supported by the plug-in/extensions, you can choose the solution for your business precisely. Now assume that you have your website and above standalone solutions seems very costlier. Below is the plug-ins/extension that can help you accomplish your requirement with the cost that is more convenient & affordable to you. Magento is one of the most popular e-commerce solutions with highest industry share when it comes to online stores. With an introduction of Magento 2.0 and the features available with its enterprise edition, it is one of the most preferred choices as e-commerce platforms for many reputed brands. If you want to setup multi-channel system hosted with Magento, you don’t need to look further than M2E PRO. Having M2E PRO integration services offered to no. of small to large scale businesses, we can make a statement that M2E PRO is the most efficient Magento extension available for eBay and Amazon integration. M2E PRO has simplified the entire process of listing products to eBay and Amazon and provided an interface which is very user-friendly and easier to use to manage the day to day activities. You can import your live listing from eBay & Amazon without losing sales history, custom eBay listing template, import orders from marketplaces, automate inventory updates, free Amazon reprise is few benefits you would enjoy with M2E PRO. Learn more about M2E PRO. WooCommerce is one of the most popular e-commerce CMS among small-sized retail stores with products ranging from 100 to 1000. If you love WordPress and enjoys the simplicity it offers, WP Lister would add additional benefits to your WooCommerce store by enabling you to list on eBay and Amazon directly from your WordPress website. WP Lister is another free plug-in available in WordPress that allows you to manage product listing on eBay and Amazon. The free version is available with some restrictions where paid comes with as low as $99 subscription charges per year and offers you plenty of features that helps you managing your marketplace stores with ease. 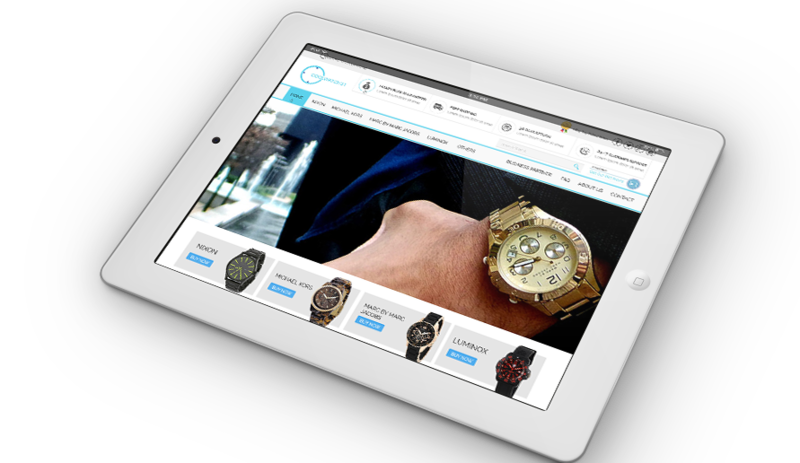 Learn more about WP Lister & its Integration with eBay and Amazon. Inkfrog Open is another module of very well-known product Inkfro, one of the historical tools launched as standalone tools few years back for listing directly on eBay. As Shopify is a preferred choice for many startup businesses having a small budget, Inkfrog opens comes as the free solution and allows you to connect your Shopify store with eBay and manage product listing. The featured offered by Inkfrog Open is somehow same as M2E PRO and WP Lister and easy to install and configure as others. Shopify’s user interface is somehow inspired by WordPress so sellers having a website on Shopify won’t have many difficulties using InkfrogOpen to manage their day to day task on marketplace accounts as well. We at eBay Ninja have vast experience selling on eBay and Amazon on behalf of our clients. Fortunately, we got opportunities to work with clients having websites on all these platforms and have integrated marketplaces accounts successfully for Magento, WooCommerce and Shopify platforms. If you are not sure which solution you should go with or want to start from scratch, drop us an email at info@ebay-store-design.com or contact us through our website and we will provide free consultation based on your requirement. PrevMobile Friendly eBay Listing Template will be Necessary by 2017! !